Being beautiful is the desire of everyone, especially girls. To look at our best, we undoubtedly try out various beauty regimes, packs and facials that enhance the inner glow of our skin, hair and other body parts. If you browse through the market, you will certainly be amazed to find the market flooded with unlimited beauty products available over the counter. However, instead of using these cosmetic items, it is always better if you opt for some homemade options that are natural, pure and without any side effect. Pineapple is a sweet tropical fruit that we all love to gorge on. The exciting combination of a coarse exterior with the syrupy inside makes us drool for this amazing fruit. Apart from satisfying our taste buds to the fullest, pineapple is also loaded with various beauty benefits that can make your hair and skin naturally healthier and glowing. 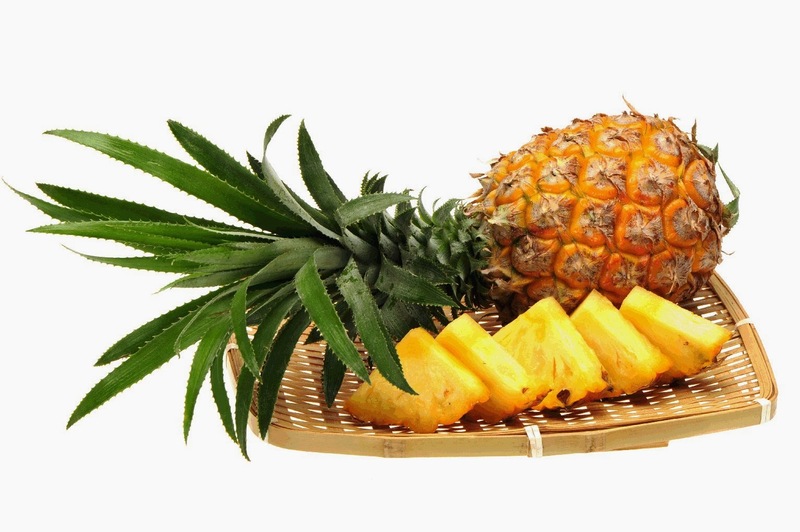 Below we have discussed about some of the beauty benefits of pineapple that are sure to make this fruit a must-have in your home from now onwards. 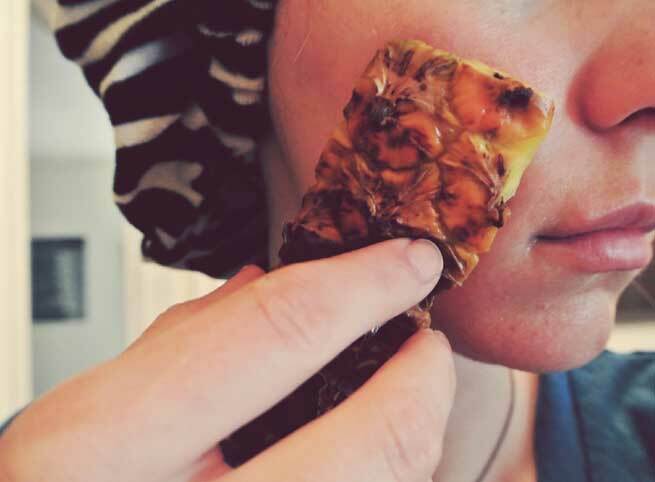 Great for your skin: Pineapple is rich in enzyme which is considered as one of the most prominent components that helps in maintaining the skin’s firmness, thus avoiding wrinkles, fine lines and loose skin problems easily. The enzymes are capable of fighting against damage in skin cell collagen, hence providing you a younger looking skin to flaunt. It is also beneficial for proper skin hydration and moisturizing from inside, ensuing a glowing and flawless complexion. You can even use the fruit’s pulp on your face by rubbing it softly in circular motion; however make sure to avoid contact with eyes. Rinse off with lukewarm water to get a clean skin. 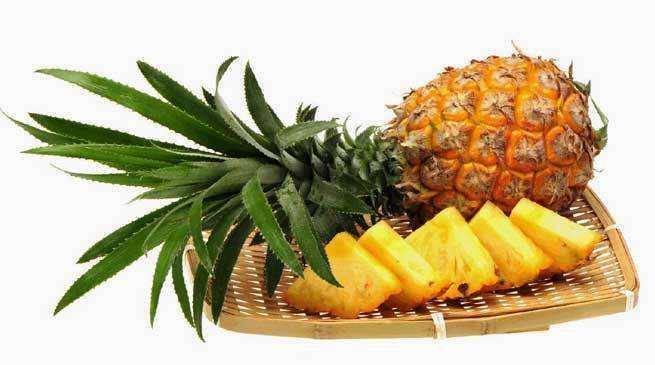 Drinking a glass of pineapple juice is also proved to be extremely good for health. Great for nails and feet: Not only skin, there are many beauty benefits of pineapple for your nails and feet too. Mostly women suffer from dry, brittle and discolored nails due to deficiency in vitamin A. To get rid of these nail problems, pineapple can be at your handy help. Mix some pulp of this fruit with egg yolk and apply it on the nails properly. Wash off after it dries completely. Get back soft, beautiful and cuticle free hand and feet nails with ease. 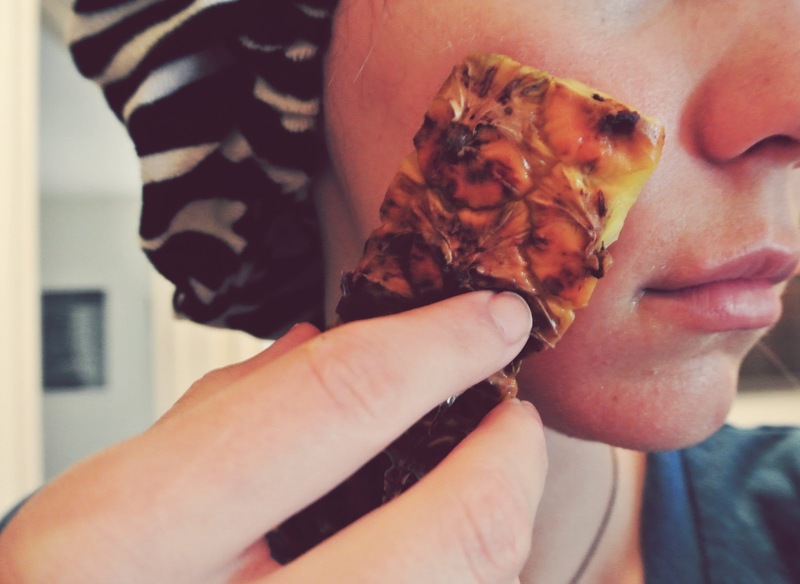 Pineapple is also good as a foot scrub as it quickly removes dead cells and flaky skins which tan the skin color badly. Mix pineapple with lemon juice and salt and use it on your feet for 20-25 minutes at least twice weekly to get back exfoliated soft skin. 1. It helps in weight loss process in a natural way. 2. It keeps the bowel system clean, thus detoxifying your body from within. 3. It is good for teeth care also, especially in prevention of gum diseases. As you gear up to enjoy pineapple and its benefits to the fullest, know that intake of unripe pineapple can cause diarrhea. Moreover if you are pregnant, it is sometimes advised to avoid this fruit. Make sure you consult a professional doctor beforehand to get the best guidance and recommendation.